Please register within 23st Feb, to inform us of your intention to participate to the event, so that we have a good idea about how many people to expect. 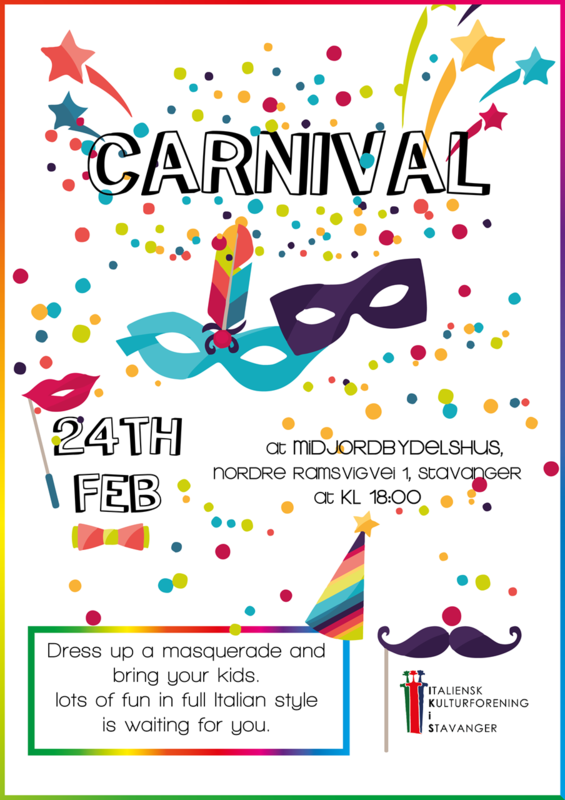 We are happy to invite you to the Carnevale all'italiana! It will be a great occasion to party and have a lots of fun together! Both adults and children are more than welcome to come dressed up and bring some food to share! Ikis will offer some savoury snacks, sweets, hot dog and soft drinks. During the event we will have the Pentolaccia and a competition for the best costume (one for adult and one for children). We are looking foward to see you!.